and the industry have to say. "Working with Gauge for so many years and projects, have been no less than fantastic; always over-delivering with elegance and a bright vision of the future. Gauge is becoming, in my eyes, an icon in the design industry." "I’ve worked with Gauge Branding for over 5 years now, principally on label design but also on promotional materials for our winery. They are professional, timely and fantastic to work with - respecting the creative process so that it clearly achieves the message intended and satisfies the individual owner’s needs." 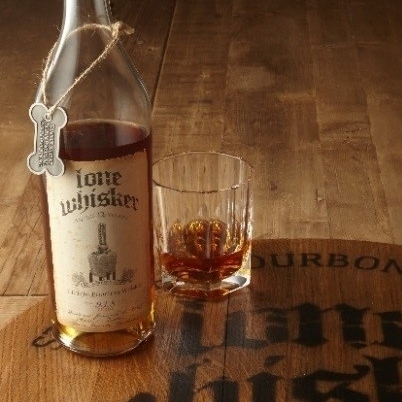 "We have hired Gauge Branding a few times to help us develop some of our wine and spirits brands. Each time, Gauge has exceeded our expectations by addressing our concerns, desires and directions in a timely and efficacious manner. The brand identities they have created for us have given us the shelf presence that far exceed the competition." “We’ve worked with Gauge on two large projects­ - the development of an original new wine brand, as well as the redesign and modernization of an existing brand. A huge amount of work went into both of these projects and although it took time to get it just right, I can say that the end results have been outstanding and have truly helped shape the success of both businesses. Our brand identities are strong and focused and their design and packaging elements are among the best in an otherwise crowded market. Mark has an excellent eye for design and understands the level of detail required to create a complete package. I look forward to working with them again on future projects”. "Gauge Branding immediately understood the potential of our brand and our position in the market place. They were in synch with our message and lead the way toward articulating it through images and words. They brought world class resources to the project. I am thrilled with the results." 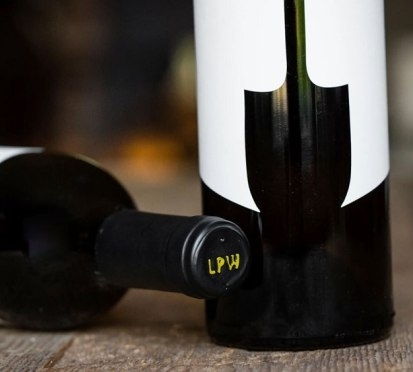 "There’s a Line Forming for La Pelle, Napa’s Newest Label"
One of the most exciting new wineries to launch over the past few years in Washington has been The Walls, based in Walla Walla. Co-founders Mike Martin and Ali Mayfield engaged Gauge Branding (offices in Chicago and Napa) to create the label concept for The Walls, and also to audition artists and cartoonists. The winning cartoonist, Joe Dator, will be familiar to readers of The New Yorker, in which his cartoons appear regularly, often featuring a character whom Dator calls Walter Groovy. 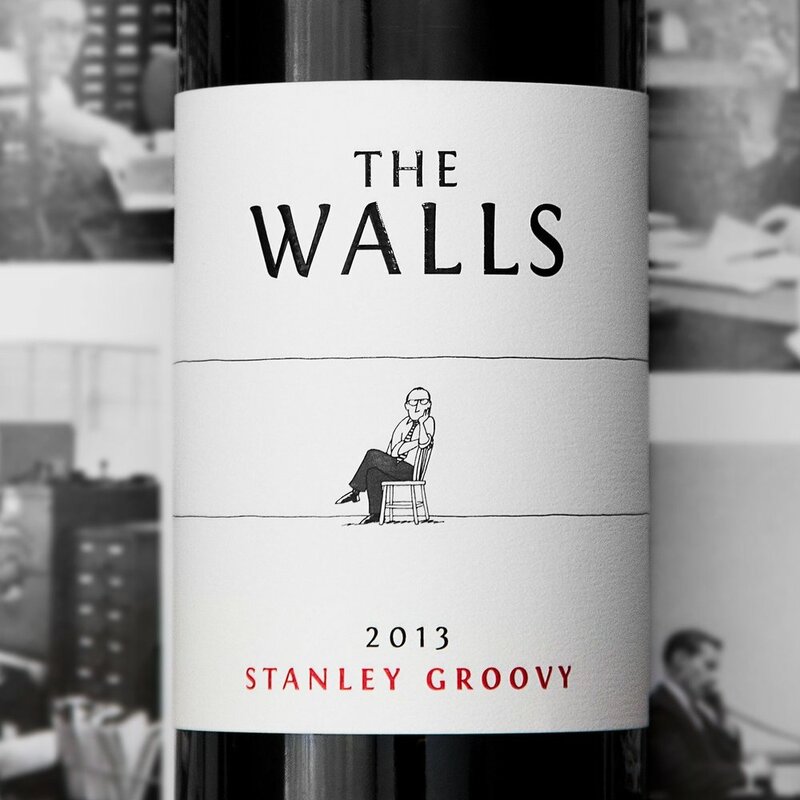 For The Walls, Walter was renamed Stanley (in honor of the late Washington wine pioneer Stan Clarke). The Power Of Rebranding: From Hidden Ridge Vineyard to Immortal Estate. They say a good quality product can sell itself. Hogwash! In an era marked by crowded marketplaces, big data, and hyper-dynamic marketing practices, selling a product requires deft strategy. In many cases, the fine line that separates success and failure lies upon a brand’s ability to consistently deliver on message for ever changing marketplace. For Tim Martin, co-founder of Gauge Branding and owner of Immortal Estate – previously Hidden Ridge Vineyard – his latest passion project is a testament to the power of rebranding: reviving a stagnant vineyard into a luxury wine brand. As a child, Martin worked as a prep cook for his Italian grandfather. His penchant for all things culinary led him to two accomplished decades in restaurant and hospitality management. After working in Napa Valley for a decade with legendary Robin Lail and her wine project, Lail Vineyards, in addition to launching his own project, Tusk Estates, Martin launched Gauge Branding with partner Mark Wiegard. At Gauge, Martin focuses on cultivating brand DNA and crafting marketing strategies for emerging winemakers, cold-brew coffee makers, and bourbon distillers. In 2017, he fulfilled his lifelong dream to own a vineyard and thus became the new owner of Hidden Ridge Vineyard, now known as Immortal Estate. In its original incarnation, Hidden Ridge Vineyard was a small vineyard with a cult-like following. Its 2013 Impassable Mountain Reserve Cabernet Sauvignon received a coveted 100-point score from venerated wine critic Robert Parker, who described it as a “quintessential example of what perfection is.” The brand’s only other wine, the 2013 Cabernet Sauvignon 55% Slope, also received a laudable 97+ score. Yet despite such critical accolades and high remarks, the vineyard and its compelling wines went largely unrecognized. The problem wasn’t the wine, but rather the branding or lack thereof. To say the vineyard’s unique location is off the beaten path would be an understatement. Located on 150 acres of land on the Sonoma side of Spring Mountain in the Mayacamas Mountains, the secluded vineyard runs the ridge between the Napa and Sonoma valleys. West of St. Helena, the estate’s 50 planted acres span the slope of Spring Mountain. What makes the vineyard unique is its 55-degree slope, a deviation from the county’s set 15-degree maximum. Since the area was originally developed by Lynn Hofacket and Timothy Milos in 1990, the estate is grandfathered in. While Hofacker proved to be accomplished in producing remarkable cabernets, his tenuous efforts in establishing his brand and marketing his creations kept the Hidden Ridge name a little-known secret. Today, Martin has made it his mission to change that. California's Most Expensive Wines (Featuring TUSK At Number 3) It's California's Turn To Go Under The Microscope As We Look For The World's Most Expensive Wines. Along with death and taxes, one of life's nailed-on certainties is that the price of California – by which we really mean Napa – wines go in one direction only, and that is up; but it isn't quite true. Certainly, there has been some price inflation in the past year, but taking a look at the list of California's 10 most expensive wines shows that some have actually decreased in price since we last checked. Decreased! Yes, it sounds strange, mysterious, even disturbing, but we can assure you it's true. What is clear, though, is that California – sorry, Napa – can still command relatively vast prices for wines with a pretty slim pedigree. In fact, there are four new entrants on the list, three of them having just achieved one of Wine-Searcher's main ranking criteria: four available vintages. They have flown straight into the top 10, which gives you some idea of which end of the price scale we are talking about here. Indeed, they have pushed some wines down the placings because the older wines haven't raised their prices sufficiently high to keep the interlopers at bay. The big story, of course, is the disappearance from the list of last year's most expensive California wine. Screaming Eagle's outrageously priced $3577 Sauvignon Blanc – Sauvignon Blanc, for heaven's sake! – has dropped off the list because there are only three vintages of it available. The reason we insist on a four-vintage minimum is to ensure that we don't get distortions caused by special production, one-off wines. However, even with the requisite number of vintages available, the Screaming Eagle Sauvignon was something of a distortion anyway. The crazy price was a result of people putting the wine on the secondary market and watching the prices go frankly insane. You can't blame the winery for overambitious pricing; the wine ended up sitting at such a laughable price level because the consumers fell foul of a combination of two of the most powerful of all human urges – desire and greed. And so to this year's list of the most wallet-punishing wines from California, and it's a mix of the old and the new. There are new faces, which is always a healthy sign, indicating that consumers are still looking for different experiences, but one thing remains absolutely resolute – red wine, and Cabernet in particular, is what people want when it comes to California. 1. Screaming Eagle Cabernet Sauvignon, Napa The king of cult Cabs moves into top spot, displacing its Sauvignon Blanc stablemate. It sits proudly atop the pile after a 5 percent price increase took its average price from $2890 last year to $3044 today. Naturally enough, the critics love it and older vintages can fetch even steeper prices; the 1992 vintage has an average price of more than $10,000. 2. Harlan Estate, Napa With a hefty average price tag of $894, five 100-point scores from young Mr Parker and a one-place jump to #2 on this list, Harlan could be forgiven for feeling a little smug. Its average price is also rising at a faster rate than Screaming Eagle, even if it commands little more than quarter of its rival's price – it has increased by more than 8 percent in the past year. 3. Tusk Estate Cabernet Sauvignon, Napa The highest-placed of the new entrants, Tusk weighs in with an average price tag of $868. Made by in-demand consultant Philippe Melka, it's a mailing-list wine, which means most of the offers we list for it are secondary offers. Any wine that describes itself as "a luxury wine, custom designed to fit your lifestyle" is going to induce a sharp intake of breath at the point of purchase. 4. Scarecrow Cabernet Sauvignon, Rutherford Bret Lopez makes just 500 cases of his cult Cabernet each year, which explains the $724 average price tag, a jump of 10 percent on last year, which also bumps it up one place to fourth. Named for Lopez's family connections with the Wizard of Oz movie (his grandfather JJ Cohn was head of production at MGM), it's one of California's most sought-after wines. 5. Schrader Cellars Old Sparky Beckstoffer To Kalon Vineyard Cabernet Sauvignon, NapaNamed for former owner Fred "Sparky" Schrader, rather than an electric chair, this wine will be worth keeping an eye on in the coming year. Already down almost 9 percent in price on last year, its acquisition as part of the Schrader Cellars purchase by Constellation last month for a whopping $60 million could see changes being made. It has dropped one place since last year. 6. Promontory, Napa Owned by the Harlan family, this is the second new entrant on the list, weighing in with an average price of $664, and a critic rating of 96 – the 2013 got a 99 from Robert Parker. Its price has increased steadily since it was launched in 2014, appreciating by a total of 20 percent. Fittingly, the label bears a more than passing resemblance to a dollar bill. 7. Screaming Eagle Second Flight, Napa Stan Kroenke's second entry on the list, this is a substantially more affordable offering, coming in at an average of $633, a modest rise of 4 percent on last year. 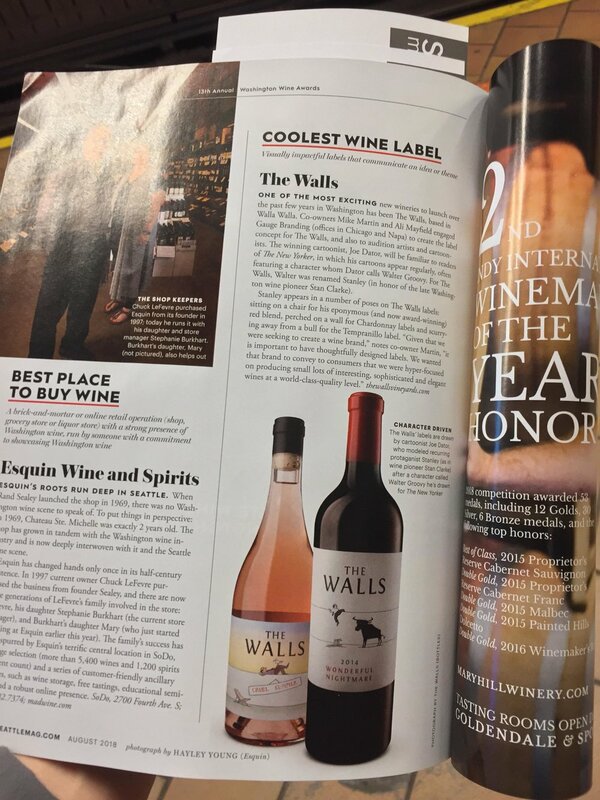 It has maintained the same placing as well, perhaps as people realize that the top wine is either beyond their wallets, or has already been snaffled up people with quicker reactions. 8. Dana Estates Lotus Vineyard Cabernet Sauvignon, Napa Raised from a ruin in 2005 when Hi Sang Lee bought the property, Dana's turnaround has been impressive. One of seven wines produced by the estate, this one has fallen two places on this year's list, a reflection of a $6 fall in the average price to $620. 9. Carter Cellars Beckstoffer To Kalon Vineyard The GTO Cabernet Sauvignon Napa Carter Cellars' magnum-only red is a favorite of Robert Parker, who awarded the 2012 the full 100-point laurel. This is the third new entry on the list and it knocks Schrader's CCS and Abreu's Thorevilos off this year's list, with an average per-bottle price of $571. 10. Bryant Family Vineyard Cabernet Sauvignon, Napa Pushing out its Bettina stablemate, this is the last new entrant on the list and it is here because of a sharp rise in its average price, shooting up 11.5 percent in the past year to $562. Red wine specialists, Bryant's consultant winemaker is Michel Rolland, which at least partially accounts for the average critic score of 95. I cover the best in wine, spirits, hotels and travel. Do we judge a bottle by it's cover? Yes, often. 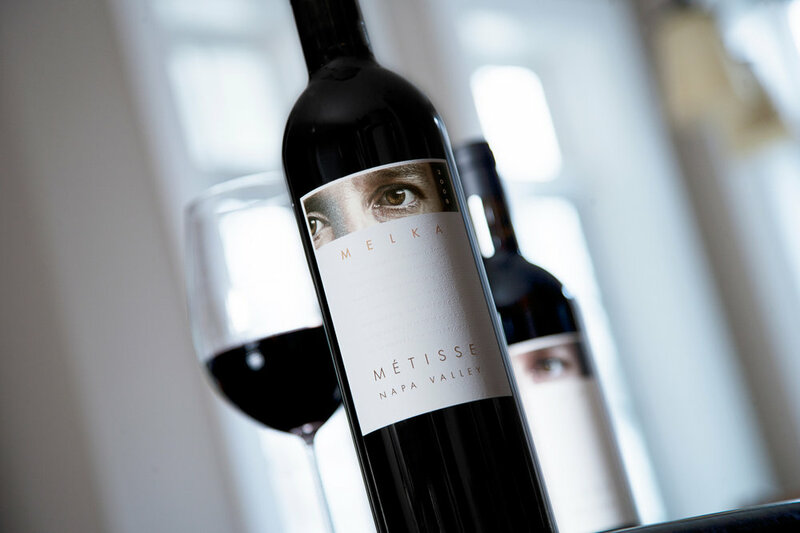 Truthfully, wine labels often reveal something about the winemaker, winery owner or the wine itself. Some are haughty and grand, covered in script and gold lettering, while others are simple and straightforward. The wine label is technically our first impression of a wine, so it should be reflective of what's in the bottle. This slideshow is a mere snapshot of some of the coolest wine labels I've seen to date. I know there are more, if you've come across something spectacular, please share. I'm already working on next year's list.